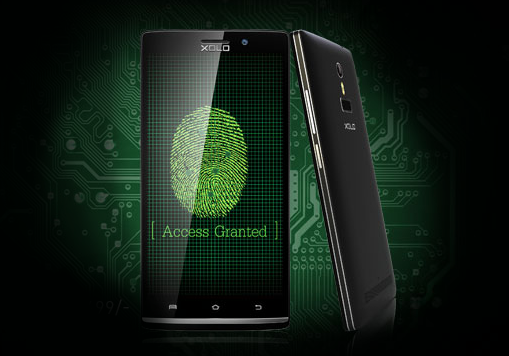 Xolo, one of the smaller Indian smartphone brands, introduced a $225 smartphone with a fingerprint scanner. The Q2100 is a dual-SIM, 5.5-inch, quad-core device intended for the Indian market. It's a mainstream Android smartphone with biometrics as its standout feature. The fingerprint reader is below the rear-facing camera and is used as a PIN substitute to unlock the phone, but has no other apparent function. Xolo's Q2100 is one of several mid-tier smartphones for India to use biometrics as a key selling point, but none of these devices have been particularly successful. Similar phones from lower-tier brands include Swipe's Sense and iBerry's Auxus Note 5.5. Brands like Xolo are piggybacking on the success of smartphones such as the iPhone 5S, Samsung's Galaxy S5 and most recently the iPhone 6 and iPhone 6 Plus, all of which prominently feature a fingerprint sensor. The Indian government's use of biometrics as a security feature for individual identity has also introduced the use fingerprint scanners to a wide audience. Xolo is helping to drive biometrics mainstream by pushing the feature to a lower price point, but the potential is far greater than current implementations. The government's ambition to make India into a leader in mobile banking and the biometrics-backed Aadhaar unique identifier scheme highlight the greater potential for on-board fingerprint scanners. The use of biometrics isn't just a marketing stunt — the feature has the potential to get some serious work done.